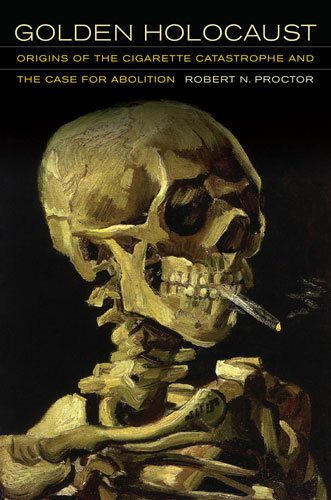 This will be a short book review because Robert Proctor’s book about the dangers of tobacco, smoking and cigarettes can be dismissed outright after reading the title and the introduction. Although I occasionally smoke cigars, I know it’s neither healthy nor smart. I am not sure we need a new book to tell us that, but I will give Robert Proctor the benefit of the doubt on that. Maybe he has uncovered new evidence or performed new research. – Unfortunately for him, I will never find out because I just can’t get over the title of the book and therefore will never read it: “Golden Holocaust”. I am against the inflationary use of the term “holocaust” even for other acts of genocide because it seems to deny the singularity of the Holocaust against the European Jews between 1933 ad 1945. Genocides also took place against other groups, e.g. the Herero or the Armenians in the Ottoman Empire and all of these weren’t less gruesome for the individual members of these groups as the Nazi Holocaust against the Jews was for the Jews of Europe. Still, the Holocaust that originated in Germany against the Jews is unique in many historical aspects, especially in the way that it was openly declared as the government’s policy, that every arm of the state, as well as industry and private citizens participated in the murder of people who had until then been their neighbours and colleagues and that all of this began in peacetime. The industrial, mechanical and bureaucratic scale of the Holocaust also make it unique among all genocides. And now comes Robert Proctor and compares the organized mass murder of 6 million people in concentration camps and mass shootings with smoking a cigarette, a voluntary act which contributes to illness and the early demise of a small percentage of its users. What an outrageous comparison! Do I really need to point out that a cigarette smoker can quit? That he can stop buying cigarettes? That he can get help against a possible addiction? That there is treatment against smoking-related illnesses? – Do I really need to contrast this with the short life in a concentration camp? I don’t think so. I use the term holocaust with caution. No, you don’t: you put it in the title of your book! In both instances [smoking and the Nazi Holocaust] … we face a calamity of epic proportions, with too many willing to turn a blind eye, too many willing to let the horror unfold without intervention. Apathy rules. It becomes obvious that Mr Proctor – a professor of the history of science and one who has even published research about Nazi Germany – tries to equate the Holocaust with the voluntary consumption of cigarettes that come with a warning label. This equalization is wrong, it is tasteless, it is shameful, it is dangerous. I recommend instead: “Night” by Elie Wiesel. This entry was posted in Books, Health, History, Holocaust, Language and tagged science, smoking. Bookmark the permalink. Sadly, it’s a difficult matter to use that very old word, “holocaust”. By the technical definition, the US fire-bombing of Tokyo or the Allied destruction of Dresden are “holocausts”. So were the recent Californian and Australian wildfires and the Great Chicago Fire that burned my hometown in 1871. (No, wise guy, I wasn’t a firsthand witness.) To play devil’s advocate, I could claim that the “never forget” crowd usurped a common term for their own. I think it would have been better, throughout recent history, if the Nazi mass-murder had been titled differently. Unfortunately, we are stuck with what history has given us. And I whole-heartedly agree – Mr. Proctor is either a sensationalist, or a complete and utter pinhead, to even have conceived of such a title. The use of the term Holocaust by Procter is both formally wrong and morally shameful. It is wrong, because its ethymology relates it to a “complete extinction (or burning out) of a living specy or a group of people”, with the full intention to do this. It is therefore absolutely inappropriate to use it in the case of the cigarette industry. O.k., Philip Morris might be cheating, and lying, and exploiting the consumers. One can even blame them for trying to make the smokers addicted for Marlborogh to sell more of their stinking sticks. But Philip Morris is not stupid, and they understand that with every smoker who dies from lung cancer or COPD or infarct, they are loosing another customer. You can blame the cigarette industry for tolerating the health damaging effect of their products, but it is absolutely wrong to say that they want to damage your health or even kill the consumer with intention. Therefore the term Holocaust is simply wrong in this regard. Death by extensive cigarette smoking has more characteristics of a suicide (since it is by the free will of the smoker), than of a murder. But what counts more serious in the use of the term Holocaust for a book title is the attempt of the author to exploit the a very strong emotional associaton with perhaps the biggest crimes in human history. He obviously wants to use the term Holocaust as a selling point for his book (which does not tell anything new about the industry trying to maximize profit). Procter knows that when you hear or read the term Holocaust, in 99.9% you relate it with intentional killing of 6 million jews by a unprecedented system of hypocratic system of violent, state-organized civilian mass murder in Nazi Germany. And because in its monstrosity and its degree of inhumanity it has no counterpart in history, its horror will always catch the readers eyes, promising to give an explanation for unexplainable. 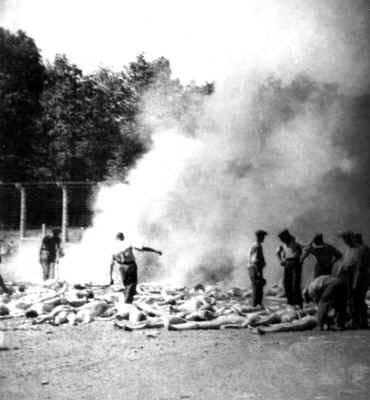 Even if there would be ten times more victims by tobacco smoking than were killed in the German concentration camps, this would still not justify the usages of the term Holocaust for the cigarette victims. Procter should understand that Holocaust is not about the shear number of killed people, but about the intention. If he is so sloppy already in the title of the book, I doubt that he develops the entire subject more serious in the rest of it. These comments are biased and ignore the detailed and hard work behind a major book. Whatever the attempts to restrict the use of the word “holocaust” to only the Nazi mass-murder of Jews, a simple reference to a dictionary will provide the meaning: “destruction or slaughter on a massive scale”. And yes, the deaths of a hundred million people in the twentieth century, ascribable to the cigarette industry, were a holocaust. Smoking is “a voluntary act”? What pure rubbish – this just ignores the effect of advertising, popular culture and stereotypes, and the addictive pattern set up by nicotine in the human body. And do spare readers the exhibitionism of references to clouds of smoke from cigars. What a superficial and asinine attitude. This is no happy hermit, just a poseur who fancies himself an authority. Having read the book, I was highly impressed by this major scholarly work. Cigarette companies intentionally kill on a major scale and it is ironic that cigarettes most addicted, debilitated consumers are often the strongest supporters of the industry. We should not forget the recent paper in the Lancet that 600 000 people die each year from involuntary (passive) smoking, not of their own ‘choice’. Yes, the use of the word holocaust in the title is inflammatory but let’s not miss the point that this is an excellent book about an industry that is projected to kill around 1 billion people over the next 100 years. We can get angry about the abuse in the etymology of the word holocaust, but 1 billion avoidable deaths is what we should really get angry about. Extensive food consumption, not just in the west but in many countries in Asia who suddenly increased the income, is know to kill more people than smoking. Cardiovascular and metabolic diseases (Diabetes, obesity) are responsible for about 50% of all avoidable death. Due to a lot of progress in oncology, cancer is nowadays much better curable than diabetes, obesity, hypertension, stroke or coronary heart disease (they are chronic, and only symptoms can be eased). So do you also want to blame the producers of sugar, potato chips, white flour and chocolate of intentionally doing a mass murder ? I dont want to defend smoking, I am against cigarettes since they are stinking and damaging your health. I support the ban of smoking in public places, no question. But if you blame the cigarette industry of intentionally killing the consumers, and call this a holocaust, than you are simply irrational. No industry likes to kill its own customers, they like to keep them addicted to continue to buy their products. They say one shouldn’t judge a book by its cover, yet here, a (presumably paid) reviewer is judging one by its title. The reviewer admits (tacitly) to not having read the book which he’s reviewing; good “work” if you can get it. No, I am not paid. Unfortunately. Mr. Proctor’s title was doubtless inspired by the mortality estimate by Douglas Bettcher of the World Health Organization, May 30, 2011: 6,000,000 deaths A YEAR from tobacco (mainly cigarettes). I think “holocaust” originally meant a burnt offering– in the present case, on the altar of profit. I agree. Apples and oranges with a bit of wtf thrown into the salad.